This cabinet photo shows the Brewer squad which won the 1913 American Association championship, the first of eight pennants the Brews would bring home to Milwaukee. 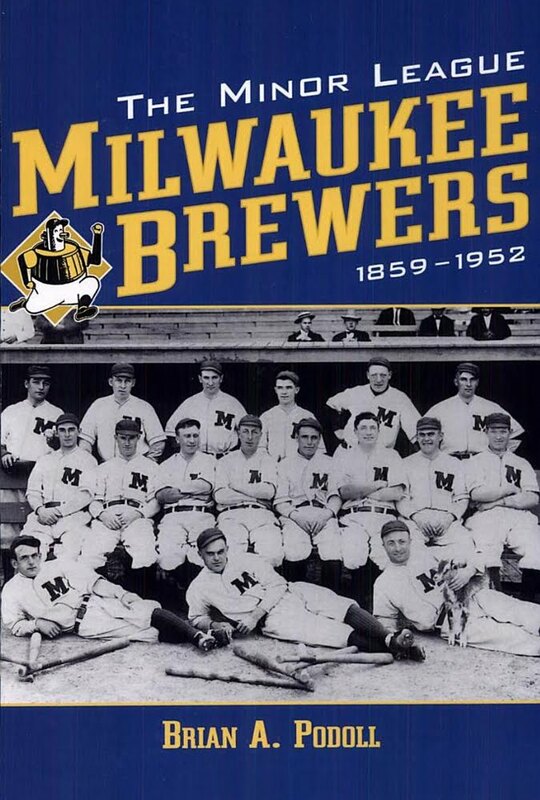 The same photo, cropped a little differently, is featured on the cover of Brian Podoll's book The Minor League Milwaukee Brewers, 1859-1952. The goat mascot, sometimes called "Woozy" but propertly named "Fatima" was presented by the club by the Milwaukee Journal in 1912. He lasted with the club at least as long as 1914, by which time he had taken up a summer job cutting the grass at Athletic Park. I think the image is greatly enhanced by the presence of the fans in the background, and when you can see the wooden slats on the top of the dugout. 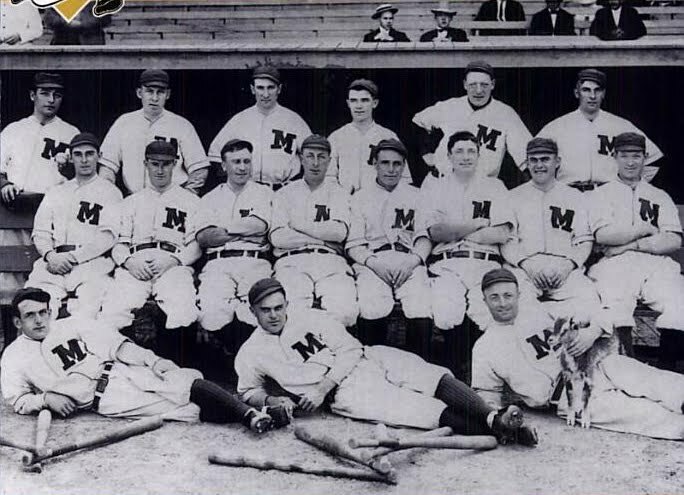 Back row: Hap Felsch, OF(? ); Cy Slapnicka, P; Newt Randall, OF; Johnny Hughes, C; Phil Lewis, SS; unknown. Sitting: Ralph Cutting, P; Buster Braun(? ), P; Cy Young(? 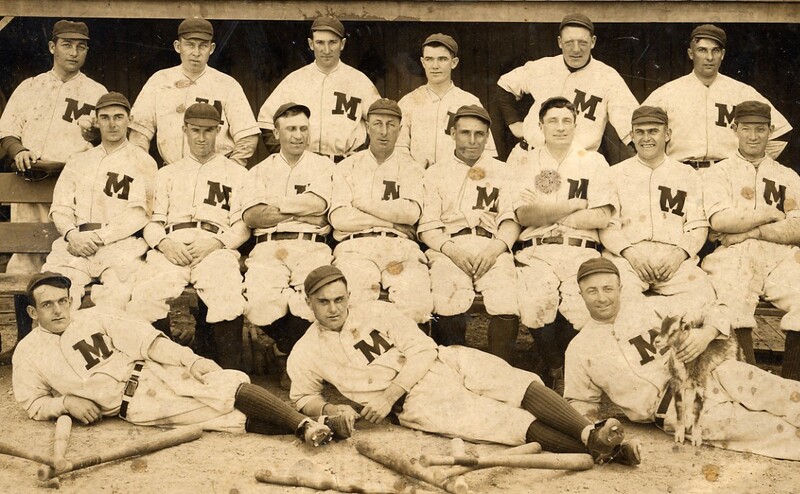 ), P; Tom Jones, 1B; Harry "Pep" Clark, manager/3B; Tom Dougherty, P; unknown; Jap Barbeau(?). On ground: Lena Blackburne, IF; Joe Berg(? ), IF; Joe Hovlik, P (with goat). Obviously, this warrants further investigation.